Lumber: OSB, plywood, cedar, spruce, doug fir/pine timber, pressure treated. Finish & Trim: Moulding: soft & hard wood, primed MDF. Drywall: regular, mould & moisture-proof. Insulation: Roxul, Fiberglass - batt & blown-in, as well as foam. 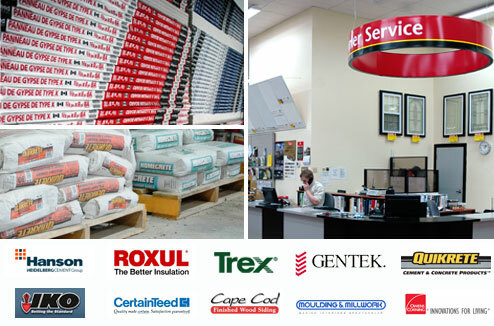 Building Materials: shelf & closet hardware, shingles & roofing, sand & cement mixes, drainage & sweeping tile, residential & agricultural steel roofing, siding & eaves/trough, and much more! 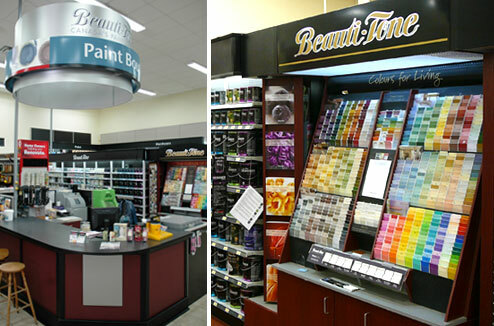 Professional quality and Eco-Friendly Beauti-Tone paints, and all the supplies make your project easy & beautiful. Beauti-Tone: regular Latex and Eco-Friendly Natura primers, paints and finishes for Interior and Exterior use, Kitchens & Baths, Trim, Ceilings and Wood or Cement Floors. Ask about our 'Designer Series with Microsphere technology,' or Granite, Flex-Rock and Hard-Rock coatings. Looking for painting ideas or help? 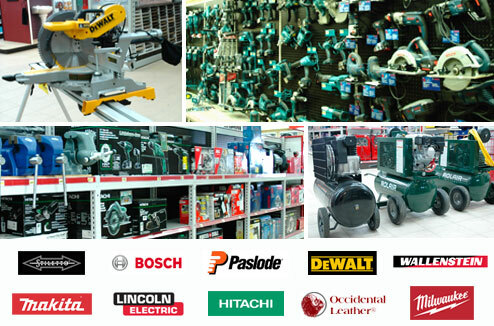 Power Tools: we stock a huge selection of durable contractor-grade saws, drills, compressors & hoses, power nailers, speciality- and hand tools for all uses, tasks, applications. Consumables: we carry a full line of accessories & consumables, from drill bits to saw blades, abrasives, desicants and tool lubricants. 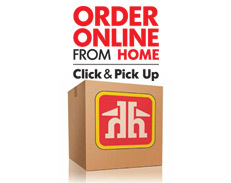 hole punches, trowels, shovels and more, you can count on Mar-Span HHBC for your every need. 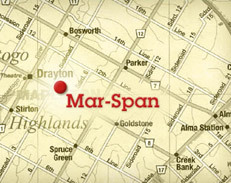 Mar-Span HHBC carries many quality Farm supplies and products. Boots: We stock a complete line of Work and Rubber Boots, including Bekina boots imported from Belguim. Pesticides etc. 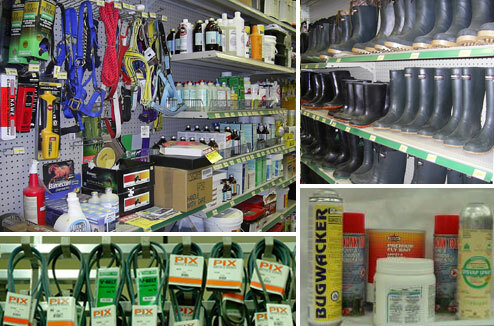 : Choose from our large selection of Insecticides and Pesticides for all applications and seasons. Hardware: We also represent a huge lineup of watering systems, gate and fence hardware, small animal supplies, and more!